Not the best start to the weekend, with most people enduring a slow, wet drive up, but the weather was otherwise pretty good. Saturday a bit windy and the odd shower, but otherwise bright and a lovely day on Sunday. I think the general impression of the hostel was favourable - spacious bedrooms, comfortable seating downstairs and a decent kitchen. The main down side was the lack of windows, leading to the kitchen/lounge becoming a bit of a sauna in the early evening. The owners of the hostel also own La Mangiatore restaurant over the road and a few of us dined there during the weekend and were impressed. On the Saturday, Fiona M had a tough, but highly successful day in Aberdeen, winning the dry-tooling competition and securing herself a couple of ice screws as a result. Martin, Alan R and myself drove round to Aviemore to compete in the Meall a' Bhuachaille hill race, 10km long and starting/finishing at Badaguish. Martin won a bottle of wine as the first over60 and Alan and I also ran well. Allan S, Kate and Penny bagged a couple of Munros from Loch Muick - Broad Cairn and Cairn Bannoch, while Alison & Harry did Carn Bhac from Inverey. 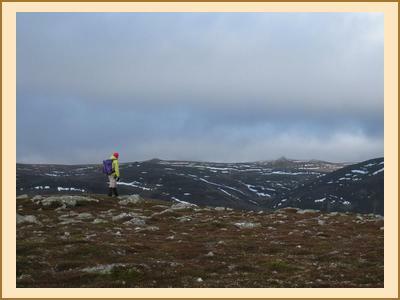 Nigel climbed Mount Keen from the north, cycling as far as possible up Glen Tarf; Bill & Eileen stayed closer to base with Geallaig Hill, to the west of Ballater. Chris accumulated the most hills for the day, starting with Morrone and the Graham near it, then getting back in his car and driving to another Graham. Fiona R and Mike also climbed Morrone, bike-assisted, but didn't feel the need to add any Grahams. After much deliberation, Gillian and Fiona C enjoyed a traverse of Monamenach. 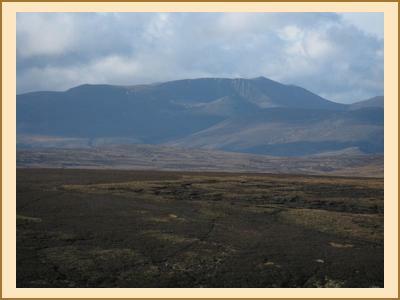 On the Sunday, Chris, Nigel, Fiona R and Mike all cycled in from Invercauld House to do the Corbetts Culardoch and Carn Liath. Harry also departed on his bike, unfortunately leaving all his walking gear in the drying room! Fiona M and Alison braved the cold and had a fine day climbing at Pass of Ballater, completing six routes - much to the annoyance of those advised prior to the weekend that the climbing season was over! Bill and Eileen acquired another Graham in Duchary Hill above Loch Beanie. Kate, Penny, Fiona C and Allan S had a shortish day in climbing An Socach from the ski centre, leaving plenty of time for tea at Bridge of Cally. Finally, Gillian, Alan & Anne R, Martin and myself drove round to Glen Esk to bag Mount Battock with the minimum of effort. The drive round from Ballater was much more scenic than the hill itself!